2017 has been a truly incredible year for our organization and we’re thrilled to present you with an exciting recap of our greatest successes. From EAT THINK DRINK to Localicious Hawai‘i to our Local Inside CSA, we’re seeing an increasing number of community members come together to build a more sustainable future for our state’s agriculture. However, creating conscious consumers and supporting local purveyors is only part of our job. 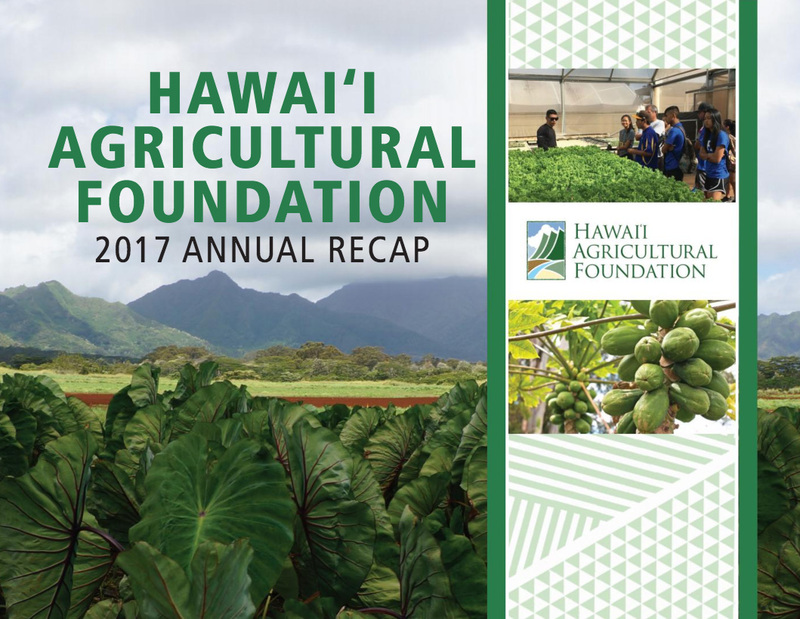 We remain committed to putting Hawai‘i on the map for its resilient food production and encouraging more youth to become the next stewards for these beautiful islands. On behalf of our entire team, mahalo nui loa for your support. To view the full report, click the image above.